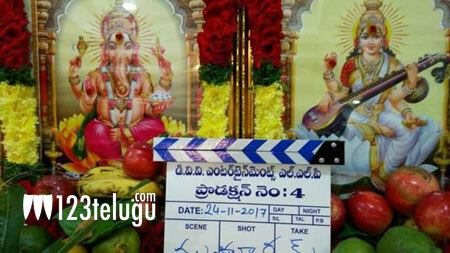 In a surprise move, the makers of Ram Charan’s 12th film in mass action entertainers’ specialist Boyapati Srinu’s direction launched the film with a formal puja ceremony this morning. This as-yet-untitled movie’s shooting will begin in January. Going by Boyapati’s penchant for showcasing his leading men in ultra mass avatars, one can expect a never seen before Ram Charan in typical Boyapati’s style. DVV Danayya will produce the movie under DVV Entertainments banner. More details regarding the film’s cast and crew members will be revealed soon.